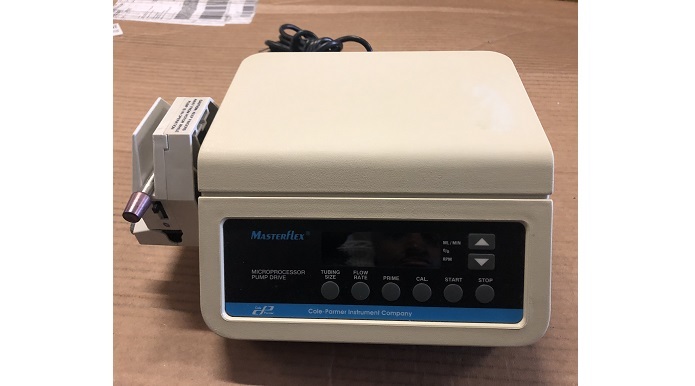 It seems the Cole Parmer Masterflex 7524-00 Microprocessor Pump Drive ID #: 19003 has been sold and is no longer available. Looking for similar items? Click Here to easily view our available inventory similar to your search. The Microprocessor Pump Drive system is useful in laboratory and scientific applications where highly accurate controlled flow rates are desired, along with digital readouts. The system drives a wide variety of standard pump heads. Including peristaltic and diaphragm types. Thank you for your interest in the Cole Parmer Masterflex 7524-00 Microprocessor Pump Drive (ID #: 19003). To speak with a representative, please fill out the contact form below or call us directly.